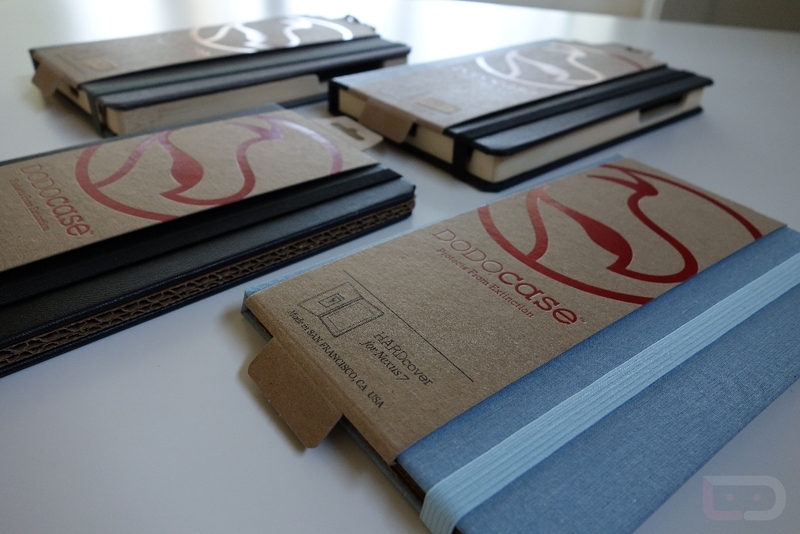 Earlier in the week, we took a look at the new Durable Wallet for the Galaxy S3 and Nexus 4 from DODOcase (Nexus 7 too, but it’s not new), two sleeve options from the San Francisco based case maker. 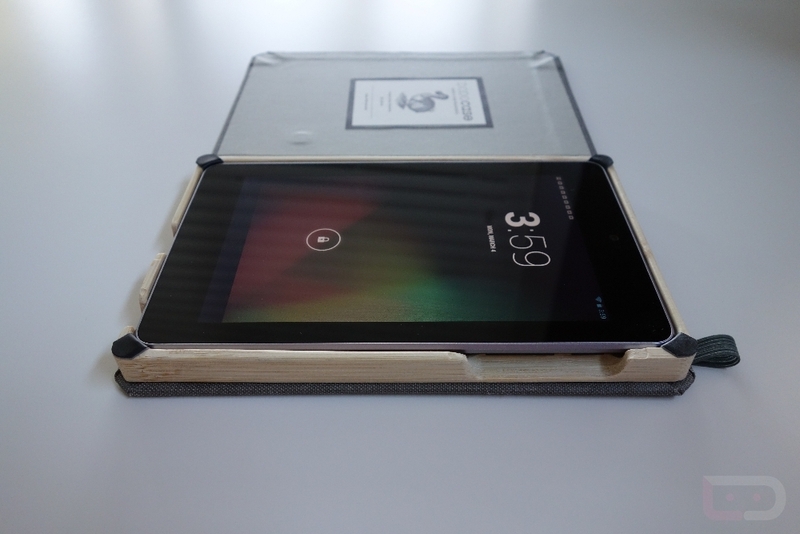 Today, we’re looking at more traditional bookcase style cases for the Nexus 7 from DODOcase, both of which are similar to hand-made cases by Portenzo and Treegloo that we have already reviewed. This is the Hardcover, Classic and Solid. The DODOcase Hardcover is somewhat of a hybrid bookcase. Rather than having a tray that your Nexus 7 sits firmly inside, it uses an adhesive so your device almost floats freely. The adhesive (which look like strips of stickers) is said to be reusable, industrial grade, and leave your device residue free. The Hardcover still protects your device with a hand-made bookcase style exterior that is held closed by an elastic band. There is a magnet embedded inside to activate sleep/wake upon opening or shutting. Also, since it has no tray, the Hardcover is able to sit with a much lower profile than a traditional bookcase. Overall, I like the slim fit of the Hardcover, thanks to the lack of a tray. I will say that over time, I would hate to see that adhesive wear out. While it’s “industrial grade” and all, there is nothing like the piece of mind that the protection a traditional tray can bring. It runs $34.95 and comes in a variety of two-tone color schemes. The Classic and Solid DODOcases are definitely what I would consider to be traditional bookcase style cases. Both are hand-made using traditional bookbinding techniques, contain an eco-friendly bamboo tray to secure the device in, and a variety of outer materials ranging from a black Moroccan cloth (Classic) to some more colorful canvas-style options (Solid). They also have a magnet embedded inside the front cover to activate sleep or wake, an elastic strap to keep it closed, and leather inserts to fully lock your device in place. If you are looking for the ultimate form of protection for your Nexus 7, but still maintain a level of class, you can’t go wrong with a bookcase style case. The craftsmanship here is as good as others in the industry, it’s a U.S. company, and their overall taste is exactly what I like to see in a case. If I were asked to choose my favorite bookcase of all, I would probably go with Portenzo’s Alano, but it’s also incredibly expensive with a minimum price tag of $100. You can get yourself into a DODOcase starting at $60. The Solid $69.95, with the Classic dropping in at $59.95. 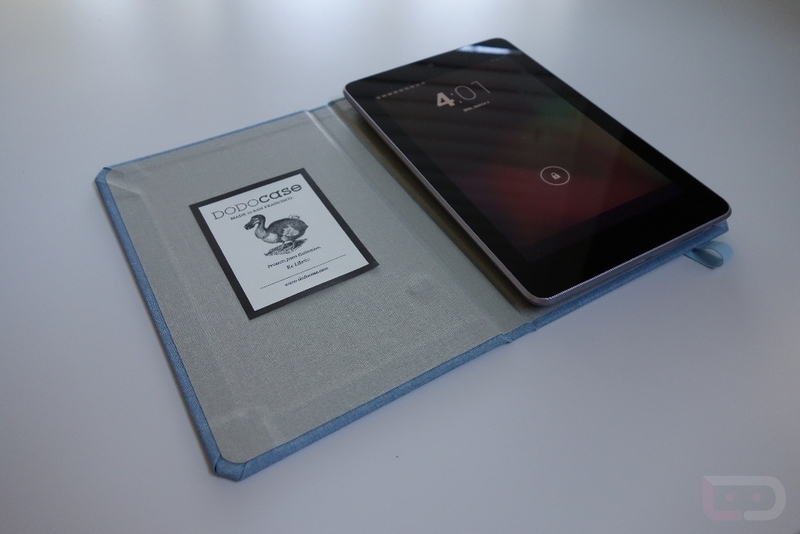 Find all of the Nexus 7 DODOcase products here.